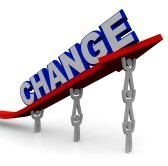 Home/Blog, Change/Does Change Have To Be An Uphill Battle? Hi Thanks for the note; I’m not sure exactly what you need. Check out the posts and sign up for my blogs–you will also get a free ebook send you you. It’s called Brain Snacks and sure to give you a laugh or two.